Tana French’s rise can only be called meteoric. Starting with her award-winning debut, French has scored four consecutive New York Times bestsellers and established herself as one of the top names in the genre. 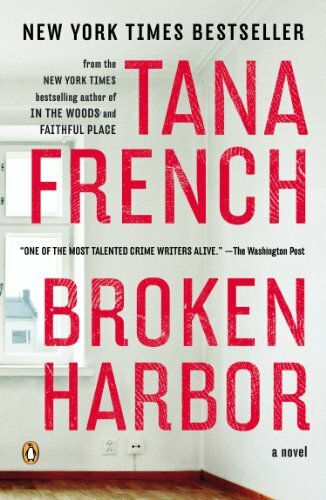 Broken Harbor is quintessential French—a damaged hero, an unspeakable crime, and an intricately plotted mystery—nestled in a timely examination of lives shattered by the global economic downturn. Mick “Scorcher” Kennedy always brings in the killer. Always. That’s why he’s landed this high-profile triple homicide. At first, he thinks it’s going to be simple, but the murder scene holds terrifying memories for Scorcher. Memories of something that happened there back when he was a boy. Tana French's newest novel, The Secret Place, will be published by Viking on September 2nd, 2014.